ARC kindly provided by Pan Macmillan Australia via NetGalley in exchange for an honest review. 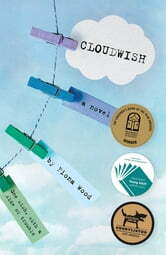 Review ‘Cloudwish’ is a novel I knew not what to think of when I first picked it up. I mean, the blurb really didn't make sense to me and I had NO idea how it would make a good story. It seemed as if it would be another throw-up/mash-up by yet another author. It's suffice to say, I was wrong. If you want to categorise this novel, it's fairly easily to say it’s a coming-of-age but it’s also one that delves into a bit of fantasy. I must inform you though, there is ONE HEATED SCENE between the main character and her love interest, so I would recommend it to readers 15+. 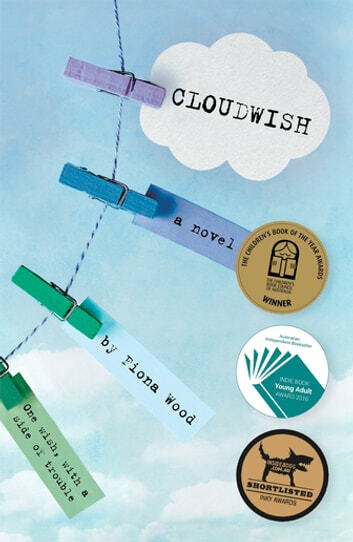 ‘Cloudwish’ was hard for me to understand, but when I did realise, the novel soon became one I looked forward to reading. It explores the different struggles of being an immigrant, especially an 'Asian' one, as well as the difficulties of falling in love whilst young - these are the two main problems in the story. It follows Van Uoc, the daughter of first-generation immigrant, Vietnamese parents who arrived in Australia as economic refuges after the fall of Saigon around the 1970s. Van Uoc is an 'Asian' girl who feels trapped by the restrictions in her life due to having to survive as an immigrant in a country where she feels out of place as a result of the undertones of racism and discrimination she experiences. Throughout the story she explains why life for her is harder than it is for a ‘white’ Australian, even though she herself was born here. She introduces topics that I've rarely scene explored elsewhere but ones that I feel would go deeply acknowledged by other readers who themselves immigrated from other countries. She explains the ‘Asian’ stereotype ‘get straight A’s and A- is a fail’ among many others as a means of survival for now and in the future. The story also explores the division between the poor and rich, the popular and the unpopular. The author weaves fiction into a realistic story that captures the reader with its heartfelt, touching prose. It has a hidden depth and meaning to it that is often present in a quiet, silent way. At one point in the book, the author writes about Australia's conversion from being a more 'humane' country to a political one, by choosing to point out that Australia no longer choses to accept refuges on boats and instead turns them away, not because it has become inhumane, but largely due to political reasons. This struck me as very important and relevant to the present, so if you are looking for a bit of depth in a book but still have it light to read, ‘Cloudwish’ is for you. Congratulations to Fiona Wood on a four star published book! Rating Plan 1 star : Strongly did not like the book, writing and plot was bad. Idea of the book was against my liking. 2 star : Didn't like it, didn't find it interesting or gripping. Seemed to drag on to me. 3 star : An average book. Wasn't bad or good. Everything else was well done. Original idea. 4 star : Like a 3 star but has potential to it as a series or the book grew on me as it progressed and certain scenes captured me. I Enjoyed it and read it in one sitting. 5 star : I LOVED IT! I stayed up late until 3 am. Author is a genius, characters, plot, idea, development, EVERYTHING was EXCELLENT. Nothing else can possibly be said except that its 5 STAR!